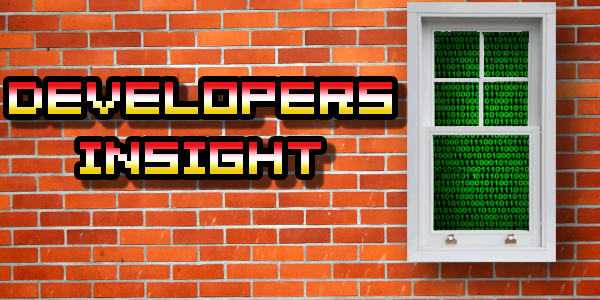 In this edition of Developers Insight we speak with Andreas Wangler, Level Designer at Might and Delight the studio behind recently released indie game, Pid. We speak about the usual topics of how Pid was made and how Mr Wangler entered the games industry, from a level designer’s point of view. Q) How did you get into game development? Q) Where would you advise people who want to become game developers to start? A) Well, for someone looking to become a level designer I would say start out playing around with the tools at hand. Join communities and start creating levels, even better learn modeling in 3D. It’s always a good start and if you later feel that game designer is more your thing then the time spent is not wasted as it’s easier to develop further from then on. Also remember the game education programs of course. An internship is a great way to enter the business. Q) What is the most essential skill to a game developer? A) The first skill is to love games, but that is easy I guess. For a level designer it’s about creating an interesting space and improving it so that it takes use of the game mechanics and the rules in the best way possible. Also, it’s not the case for every level design position out there but I do think graphical know how is good to have. Remember there are also design positions usually called mission designer or scripter. This is more about creating the gameplay using a visual programming language. Here graphical knowledge doesn’t apply. A skill most important to have is to be curious of life, consume games, movies, books everything out there and use it all in your creativity. Q) What engine would you recommend someone starting out to use? A) Unreal, Unity or maybe GameMaker? Q) How did you come up with the basic idea for Pid? A) It started with wanting to play around with gravity somehow and out of that the idea of the beam sprung. We knew we needed a solid main game mechanic to build the game upon. And we found it! Q) What engine did you use for Pid? Q) What were the key skills needed to use that engine? A) For me the only skill I needed was creating fun. Thanks to the coders and the artist at Might & Delight I never needed to care about anything else. Thanks to Unity as well of course! Q) What limitations did you find using that engine? A) No limitations really, of course there’s always challenges to overcome beeing amongst the first to release a game using a new engine but Unity has been great. Q) How long did it take you to make Pid? Q) Where can the industry go in the future? A) Well, to answer ”Anywhere” or ”Only time can tell” is too cheesy so I’ll go with the more simple…Forwards! We also have a copy of Might and Delights delightful little game, Pid, to give away! To be in with a chance of winning all you have to do is post in the comments section where YOU think the gaming industry can go in the future. Please make sure to read our terms and conditions before entering. Closing date for entries is Friday 14th December. PIXEL BURN – Ubisoft and Microsoft stuck in a tree, GLI-T-C-H-I-N-G!